You don’t have to be a professional chef to experiment with some of the most exciting cooking methods. Now that Christmas is over and you don’t have to think about slaving away over a roast turkey for a good while yet, your thoughts are probably turning to more exciting culinary techniques. If you want to expand your cooking skill set in 2018, then you should take a look at what professional chefs are getting up to in their kitchens. Far from being beyond your capabilities, the methods that renowned chefs use can be easily recreated in your home kitchen with the right equipment and the right attitude. So here are five of the most innovative ways to cook, with delicious results guaranteed. Sous vide is one of the most popular cooking methods for a professional chef. For the uninitiated, here is sous vide explained. The food is sealed in a vacuum pack and then cooked in a low temperature water bath for an extended period of time. During that long cooking period, flavours have the chance to develop and every bit of moisture is locked into the food. It’s no wonder it’s a part of every successful chef’s arsenal. At home, you can deliver the same results with your own sous vide equipment. A favourite of celebrity chefs like Heston Blumenthal, molecular gastronomy is where chemistry meets food. Using tools more commonly found in a science lab, chefs can really push the boundaries. Diners will be presented with dishes such as clear pasta, cocktail spheres and of course, food surrounded by dry ice. There are many recipes and starter kits to help you pick up the skills you’ll need. One of the biggest food trends in recent years, ceviche is all about embracing the freshness of your ingredients. If you haven’t tried it, it’s fish cured in citrus juice. So you don’t even need to switch on your oven, as the juice is doing all the work! When you do make it at home, be sure to use ingredients that are as fresh as possible, and serve immediately. Done well, it is the perfect summertime treat. Baking food in a salt crust is probably the easiest of these five cooking methods, but it is no less impressive. You simply mix together salt and egg white to form a sand like mixture, then cover your meat, fish or vegetables in it and then bake. The crust insulates the food, and it cooks evenly and gently. It makes for a great centrepiece too, as you’ll wow your guests by cracking open the crust at the table. Confit is one of the most well-known cooking methods, but many home cooks are scared to give it a go. Well, make a resolution to change that this year! This cooking technique involves cooking food in fat, with confit leg of duck being the most popular example. The food is cooked at a lower temperature, and this results in the most incredible texture and flavour. 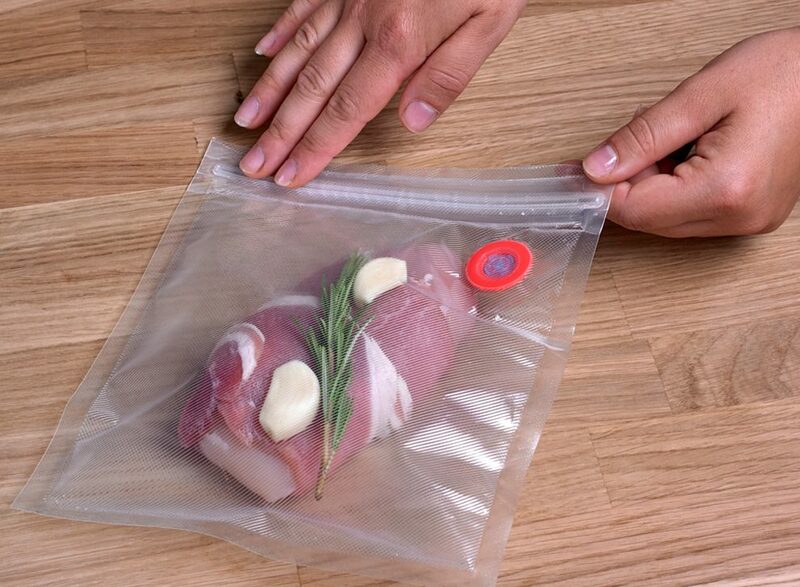 Additionally, using this method will preserve food too. No wonder it’s been a French favourite for hundreds of years. Whether you choose to give all of these methods a go or you just pick one or two that take your fancy, you’ll be introducing some excitement into your kitchen. So why not think of a show stopping recipe to serve up to your family and friends this weekend? Once word gets out that you’re mastering these techniques, everyone will want an invite to your place for dinner!